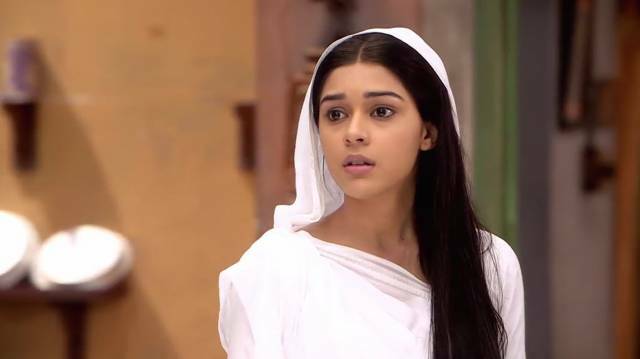 Dhaani thinks to go back to Kamini and Atharva as she thinks that they are her present. Race begins. Everyone shouts for their family members. Dhani and Atharva encourage Parshiya. Viplav comes and taunts her. He also asks her about that night. Dhaani asks him to leave. He holds her hand. Dhani says that he had no right even to touch her. Dhani left. Dulaari calls her. Kamini told Tripurai about her plan. Tripurai informs her that Dhani was not her old Dhaani and says she would not make Viplav’s sign. Kamini says that Dhani would do whatever she wanted as her character could not change. Parshiya asks Dulaari about Dhani. Dhaani comes and excuses that she had her unfinished work. Vidha and Atharva are sleeping in Viplav’s lap. Dhaani asks him to come with her. Viplav asks Dulaari to take care of kids. Dhani tells him that she had no space for him in her life. Viplav says that she might be angry as she left him. Dhaani throws divorce paper on his face and asks him to sign. Viplav says that their relation was not too weak to break with papers and also says that it was sure when she signed it her hands were shaken. He asks her why she ran coming towards him when she came to know about his accident.Dhani leaves. Dulaari comes and asked him about her answer. He shows him divorce papers. Dulaari gets shocked to see it. Viplav cries. He says Vidya that he had to go now. Vidya asks him not to go. He hugs her. He makes Atharva sleep. He took divorce papers and throws it on the floor.Kamini feels happy to see the sign of Dhaani on the divorce papers. Dhaani cries in the house. She burns all the photographs and says that they could not be together for him and his children. Kamini knocks the door. Viplav opens the door. She asked him not to torture himself. She also asks him not to sign the papers. She knows how much importance Dhaani has in his life. Stay tuned for latest Isq Ka Rangg Safed news and updates.